While I’m on a roll with Bobbi Brown products, I’ll go ahead and show you this cool new balm she released. (I’m calling it a balm, but go ahead and call it a lip glow, tint, or even treatment.) Bobbi Brown Extra Lip Tint – Bare Pink has been elusive and very hard to track down online. I finally got my hands on a few of them and one is going to be a prize in a giveaway contest very soon! Of course, the other two will be staying in my purse and my vanity. What can I say? I’m still a little bit selfish! Let’s begin by looking at the unexpected packaging for this balm, which has the feel of other Bobbi lip products but with different coloring. First thing I noticed after I opened the box and took off the cap is that familiarly appealing, jelly-like color and translucency similar to what I like in Givenchy Mister Gentlebalm, AERIN Rose Lip Balm, and in Catrice Lip Glow. 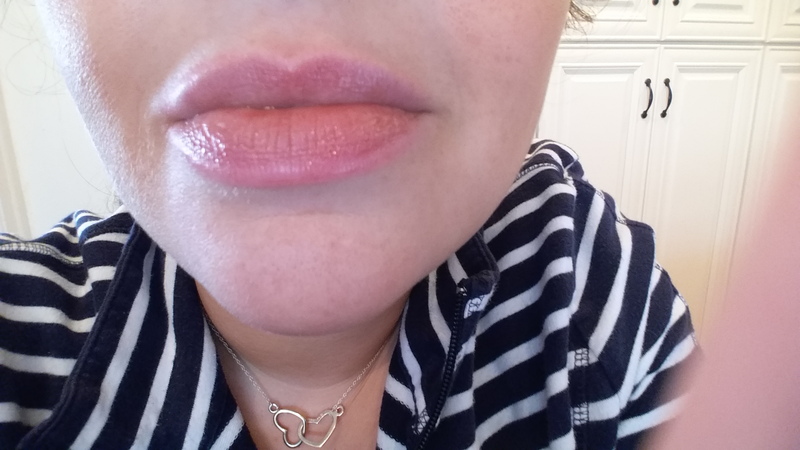 Of course, Bobbi’s Lip Tint twists up like a lipstick and has a slanted tip like Sephora’s Color Reveal and unlike Trish McEvoy’s Lip Perfector Conditioning Balm. The slanted tip works for Bobbi’s Extra Lip Tint because the stick is still a nice thick size, and applies easily even when it’s not softened with heat or use. I had a suspicion that Extra Lip Tint was going to be a treatment and tint in one, because it’s part of Bobbi’s “Extra” skincare line. I’m happy to report that it is full of skin loving natural oils and free of petroleum. After wearing this balm for a couple of days now, I can verify that it’s conditioning and very comfortable to wear. Huge score! Next, let’s look at how it performs as a tint. You can see the sheen on my lips consistent with natural oils. The nice thing about oils is that you can rejuvenate the sheen by pressing your lips together once the balm starts wearing off. 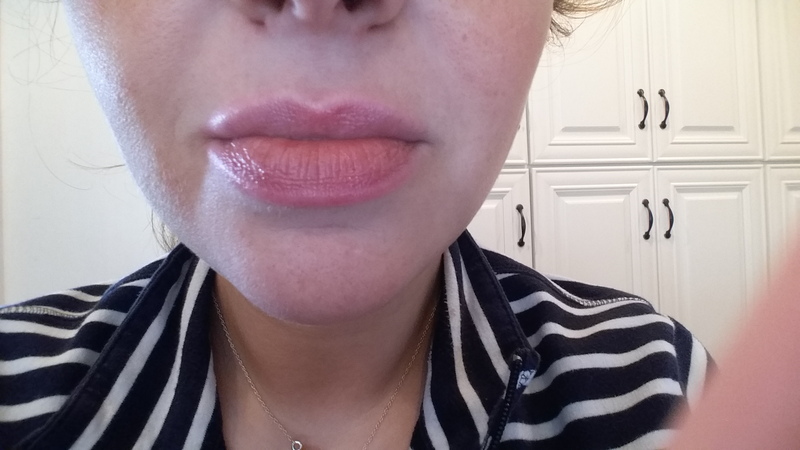 What’s more, the tint produced from application on your lips will outlast the balm portion of the product. I can’t imagine anyone going wrong with Bobbi Brown Extra Lip Tint – Bare Pink. This is obviously going to the top of my list in Color Adjusting lip products, right next to Dior Addict (Pink). Now it’s time to figure out how to get Bobbi to manufacture more of these balms and make them part of her permanent line-up! So, what do you think? Love it? Tried it? Please leave me comments or questions below!